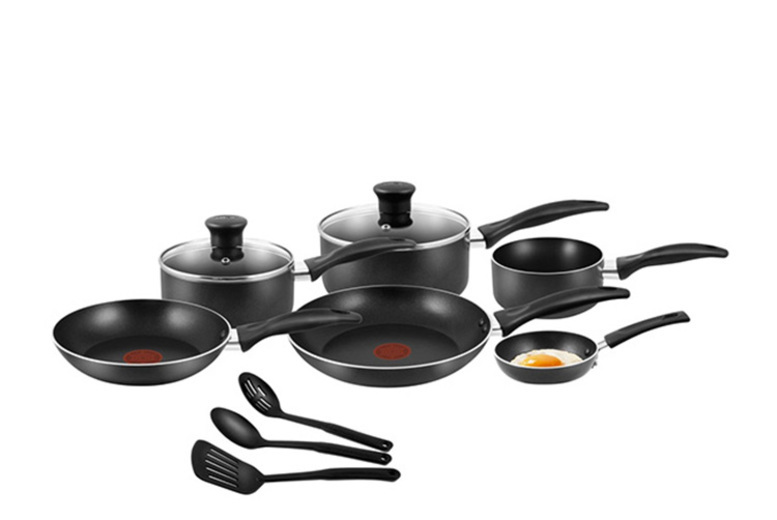 Kit out your kitchen with this nine-piece EasyCare cookware set from Tefal. Includes 16cm and 18cm saucepans, each with a transparent glass lid. As well as 20cm and 24cm frying pans with Tefal’s Thermospot technology. Plus a 14cm milkpan and 12cm ‘one egg wonder’ pan – perfect for breakfast! Also comes with a wide nylon spatula, slotted spoon and serving spoon. Start cooking up a storm today!